Life lesson number 3,203: Never honk at old people. Even though they may be slow, they can still fight back. In the following video, one woman was filming her son ride his skateboard when her attention was diverted to the gentleman continually honking his horn at an elderly lady crossing the street. 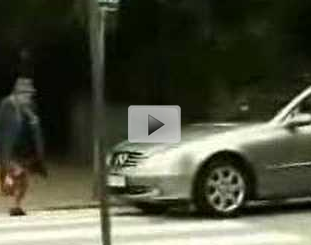 Watch the following clip and see just what this older woman did to put a stop to the honks.